Biko’s writings empowered people: Jay Naidoo - SABC News - Breaking news, special reports, world, business, sport coverage of all South African current events. Africa's news leader. Jay Naidoo believes Biko's fearlessness and courage sparked the 1976 student revolution. ANC veteran and former cabinet minister Jay Naidoo says Steve Biko‘s ideals and writings on black consciousness, empowered people with a new sense of self-worth, self-motivation and an attitude of activism. September 12th, marks 41 years since the death of the pioneer of the Black Consciousness philosophy. He died from severe head trauma in a prison cell in Pretoria on the 12th of September 1977. Six days earlier, he had suffered a major blow to his skull during a police interrogation in Port Elizabeth. 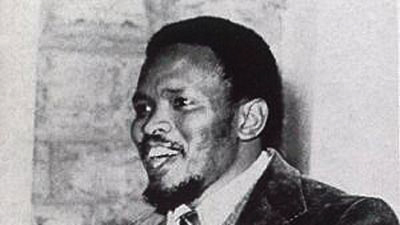 Naidoo believes Biko’s fearlessness and courage sparked the 1976 student revolution. “It was Steve Biko when I went to listen to him that ignited the spark in my head, and his words rang in my head. The mind of the oppressed was the main weapon in the hands oppressor. If I had to find one person that sparked an entire revolution, of an entire generation, what we call the 1976 generation, I would name Steve Biko as the most important influence of our generation”. This entry was posted on 12 Sep 2018,12:25PM at 12:25 PM and is filed under South Africa, News, Homepage Latest Stories Slider. You can follow any responses to this entry through the RSS 2.0 feed. Both comments and pings are currently closed.